If you have a reasonable quality Internet connection you can get phone service delivered through your Internet connection instead of from your local phone company. VoIP has a lot of advantages over the traditional phone system. 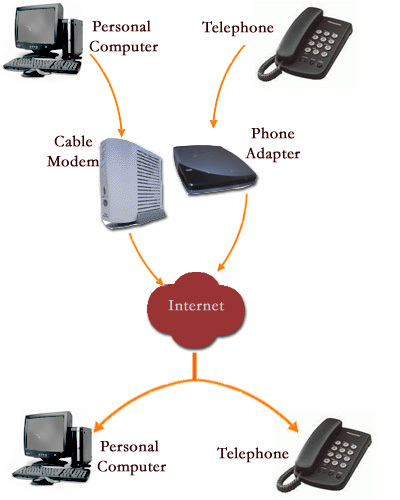 The main reason for which people are so massively turning to VoIP technology is the cost. VoIP is said to be cheap, but most people use it for free. Yes, if you have a computer with a microphone and speakers, and a good Internet connection, you can communicate using VoIP for free. This can also be possible with your mobile and home phone. This function can either be included into the phone itself (example: VOIP Phones) or in a separate box like an ATA( Analog Telephone Adapter ). It is also possible to bypass a VOIP Service Provider and directly connect to another VOIP user. What are the major differences between AM and FM?